Blendtec Designer Series Blender Giveaway! At Our Best Bites, we LOVE our Blendtec Blenders. They do everything from turn nuts into nut butter within seconds, make whole juices, grind grains into powder, and make ice cream instantly! They are true workhorses in the kitchen, and one of our all-time favorite appliances. We recently both started using the shiny new Designer Series 625 in our most favorite color- hello lovely! Check out Blendtec’s Website and have a peek around. If the price tag is a little high for you, I recommend you check out their line of certified refurbished blenders. (I’ve been using that very model for over 6 years now and it’s awesome!) It’s such a great way to get one of these beauties into your kitchen. Use the form below to enter! Open to US Residents only. Sign up for our newsletter to make sure you never miss a bite! What an awesome giveaway! Thank you for being so nice! Hope I win! I would loooooove a blendtec! What a beautiful color!! oh what a pretty color. And all the things you could make with it! Hope it’s my lucky day! wow! Would love to win a blentec, thanks! This one is the cutest blender I’ve ever seen! Making nut butter in it sounds so fast & easy. You guys are so nice to offer this to some lucky person! I don’t even have a basic blender (I do everything with my immersion blender or mini food chopper) so this would be amazing! Oh how I would love to kick my old blender to the curb! This would be great to win- I have a VitaMix that’s over 8 years old that I use a lot (especially for grinding wheat) and the speed control is starting to go…revs and jumps all over the dial. Sounds just like mine! I have used it a ton and loved having it, but it drives my husband crazy that it revs and jumps at the lower settings. It’s paid for so I’ll keep using it for as long as I can make it work (I just never turn the dial below 3 and then it works fine), but if I happened to win a contest, I would be happy to try a Blendtec, especially in such a lovely color! I’ve also loved the seafoam color my entire life; waaaay before it was all over the place. What a beautiful blender! Wow, what a gorgeous blender. Thanks for the chance. Blendtec and Vitamix look very similar. Why should I choose one over the other? I will refer you to Google for that one; there are a million comparison threads out there. We’ve only used Blendtec, so we can’t compare, sorry! I have the saddest blender. This beauty would make my day! Oh this would be SO AWESOME!! Our blender is about dead and this one is not only a workhorse, but a beautiful jadeite green unicorn workhorse!! I never win so I never enter these things, but I had to try for a Blendtec! Love the blender! Would love to have a nice blender like this. Oh how I hope I win this!!! I would love to see what it can do. And with three little boys in sure we’ll put it to the test! Oh I love that lovely seafoam! Thanks for the chance to win! What a fantastic give away!!! You girls are so awesome! 🙂 Hope I win! My lite two year old loves when I make him some “smoovies”!! I love the color and I would be in HEAVEN if I won! Oh, I’ve been wanting a nice blender for such a long time, but can’t justify the spending!! This would be awesome! WOW! What an awesome blender!! Thank you for providing healthy and fun recipes. Can’t wait for your NEW cookbook to come out. Love Blendtec. This would be awesome! I love the white one! oh! what epicurean wonders & delights i could create! if only…! Oh I want one of these so bad. We are starting a new diet for our 9-year old—-no peanuts! Among a lot of other things and one of these blenders would make my life sooo much easier. Nut butters are a huge part of my diet, but it’s so hard finding ones I like. I would love this blender for that reason and so many more! I would love one of these. I could do so much I have been wanting one forever! what an awesome item to give away – you girls are great! 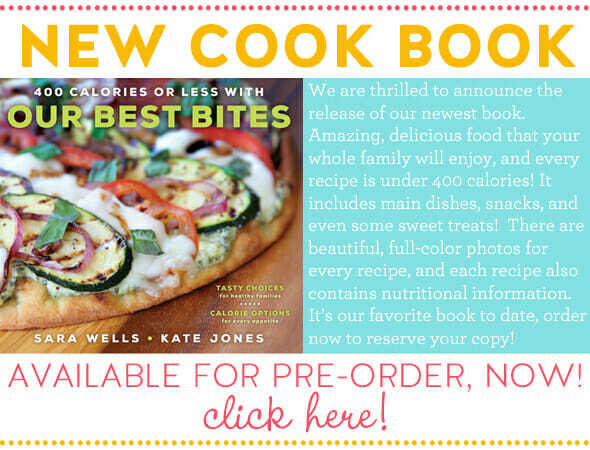 can’t wait for your cookbook I preordered!!! I’m in love! Been trying to justify purchasing a nice blender for ages. And that seafoam color is just adorable! I’m not sure I would even need to look at any other colors. This seafoam is just dreamy. And is it silly that one of my favorite features is the flat button interface? How many times has stuff spilled between the buttons on my current blender and been impossible to clean! I would love one of these! What an awesome addition to my kitchen it would be 🙂 Hope I win! I need a blender! My old one bit the dust! Thanks for the giveaway! Ooooo!! Awesome giveaway. Hope someone nice wins this (like me)!!!!! This blender is a beauty! Would love to win! I have a dying Vitamix and having been saving for a new BlendTec! I’ve heard awesome things about this machine. Fingers crossed! Me, me, me, meeeeee! (The one in the back jumping up and down with my hand in the air!) I wanna win!!!!! Awesome! It’s been on my wish list for years!! Pick me! Pick me! I make green smoothies everyday for my five lovelies and this would be so completely awesome! Will your new book be shipped in time for mothers day? Would love to win this beautiful Blendtec!! I would love one of these! Especially in that color!! My favorite color! It would be so much fun to have it in my kitchen. I’m just graduating from school with a Baking and Pastry Degree…this would be amazing to have to start out on my new adventure! Thanks for the giveaway! I have been wanting a Blendtec for so long! Pick me!!!! I need this beautiful blender. Pick me!! I’ve never had a nice blender! Love the blue but I’m thinking red maybe. PLEASE let it be me!!! I would be so deliriously happy! So my brother is a patent lawyer and wrote the patent for the Blendtec blender. I feel like that should get me a free one, but somehow it doesn’t! The nerve! 🙂 Hope I win! Thanks for the giveaway, ladies! You’re awesome and inspiring! Would love to win this beauty! Thank you for sharing! My fingers are crossed! I have been wanting one of these for so long! I love this color too! Awesome giveaway!! I need a blender so bad. Been shopping around, Blendtec seems like the way to go for sure! Fingers crossed!! This would be a great addition to my kitchen! Thanks for doing a giveaway! I’ve always wanted one of these, but can’t afford one. Thanks for an opportunity to try to win one. I want to win this sooooo bad!!!! Choose me!!! So hope I win! I have been wanting one for a while…fingers crossed! Excited for your new cookbook and loving the Blendtec! This is such a cute one! I love blendec and would love to win! I would love to win a blendtec!!! That seafoam color is so pretty. Thanks for the contest! I’m an avid home cook and the one tool I’m surely missing is a good-quality blender. My blender bit the dust a long time ago. This Blendtec is amazing! Thanks for offering this giveaway. My blender is on the fritz :(. Love this giveaway. Thanks! I’m just starting to make baby food and a blendtec would make it so much more fun! I’ve been wanting one for a long time!! Thanks for the awesome giveaway! I lice the sea foam also! I want one! My sister has one and loves it so much! This is ALL my daughter wants for her birthday. I think she’d love your cookbook too. She’s really into healthy eating. Blendtec would complete my life! Would love to be done buying cheap blenders and have something with some guts to it! So excited! I love this! I looked it up the day you got yours and posted about it on Instagram! I have been listing after your blender. Would love to have my own! Oh I would love to win. Have always wanted one of these. I need a good pick me up after another snowy day in Boston!! I need this in my kitchen! You girls are amazing. That blender looks amazing!!! It would be so hard to decide on one color! I would just love to replace my cheapy Walmart blender with this awesomeness!!! I know I’d love one! I would love to have one of these beauties!!! What a gorgeous color and design! I’d love it! I would die if I win!! These are the most amazing blenders (parents have one), and this color?! Gah! Pick me .. Love Blendtec !! I love almond butter with maple and just straight cashew butter. This giveaway is awesome, btw. This is perfect! I need a blender so badly! My husband almost bought me one yesterday,but i told him to wait to get a better deal! Maybe it’s my lucky day?! I would sooooo love one of these!! It’s beautiful!! I need one so much. I would love this blender, all the possibilities I could use it for! I hope I win! You guys are the best! I would love to win! We have gone through so many blenders in the past few years, we REALLY need to upgrade to a deluxe blender like this. If only we had a way to win one..,.my boys would LOVE it!! Ahhh as a college kid trying to eat healthy this would be amazing! Fingers crossed! I, like many others, have been wanting a Blendtec for years! Thanks for offering the giveaway! My daily smoothies on my magic bullet just aren’t cutting it. It should I say, blending it. Would love to have red or teal to match my kitchen. This would be great for breakfast smoothies for the kiddos and of course me too! I love the color! I’ve always wanted a better blender. Just like many others, I’ve wanted one for years! Excited for the giveaway, thanks! It’s gorgeous! I’ve been wanting one for years and can’t justify the cost. Hope I win! would LOVE this! How do I enter? Quick and healthy soups, smoothies and even tasty “ice cream” desserts (like the carrot and cashew ones). I need this blender badly…to replace a junky one that barely crushes ice. Whoop. Hi. You guys are awesome! I’d love to win this. Fantastic giveaway! Love, love, love the color! Love the seafoam. Need this blender so bad. Due to the very unfortunate recent death of the trusty old blender, the only food processing/blending tool in our house right now is a little immersion blender with a tiny food processor attachment where I have to make all my stuff in itty bitty little batches! So this would be a lifesaver for me! I really “NEED” one of these. These are great! Would love one! I have a K-Tek mixer/ blender combo for about 7 years and I love the mixer but the blender is not powerful enough for our large family needs. I have been looking into a new blender :). Love your recipes especially the Slow Cooker Taco Chicken! Yum! Oh, I’ve had my eye on one of these for sooo long! I haven’t been able to justify the cost, though. Would love to win! Would love to win this to make fresh and healthy items for my daughter and I! We are both allergic to dairy and love fresh fruits and veggies in the blender. Especially one this high-tech! What a great giveaway! I would love to have a Blendtec!! What a fabulous tool in the kitchen! Would LOVE to win this blender – mine is on the fritz and I need my protein shake every morning!! Thanks!! Love love love this! Would be an awesome addition to my kitchen! Crossing my fingers for this one!! I’m pretty sure my kitchen aid blender is going to die any day. Would love to have one of these blenders to make peanut butter for my husband. I’d like to enter but where are the rules? We just leave a comment about it? I’d love a Blendtec!! Sea foam is one of my favorite colors. I would love to have this blender! I’d LOVE to win this! Clean eating makes it a handy item to have! Thanks, again! <3 your blog! Come on daughter needs a blendtec! This would be the best win ever! Love it! Wow this little gem would be amazing to have. This is the blender of my dreams! I would especially live this for soups. This would be so awesome! I love the color. Loads of features! Don’t you just love how fast you can make ice cream?!!! And can’t forget soup! So many new things I’d love to try with a new blender! Would love to win this and try some of the amazing things you do with your blendtec. WOW..who wouldn’t love this !! New cookbook looks a-mazing!! WOW High-Tec Blendtec! That would be AWESOME to own. Hope it’s got my name on it. Perfect for smoothies, soups and everything else. I would love to have one. Thank you for the chance to own one. I would love this! We love to party! What a wonderful addition this appliance would be to my kitchen; it would take the place of several others. Thanks for your recipes and encouragement. Wow, this sounds awesome! I’d sure love to win one. Wow, this sounds awesome! Please pick me! Oh I want this so badly! Hope I win!! I would love to have one of these babies!!!! 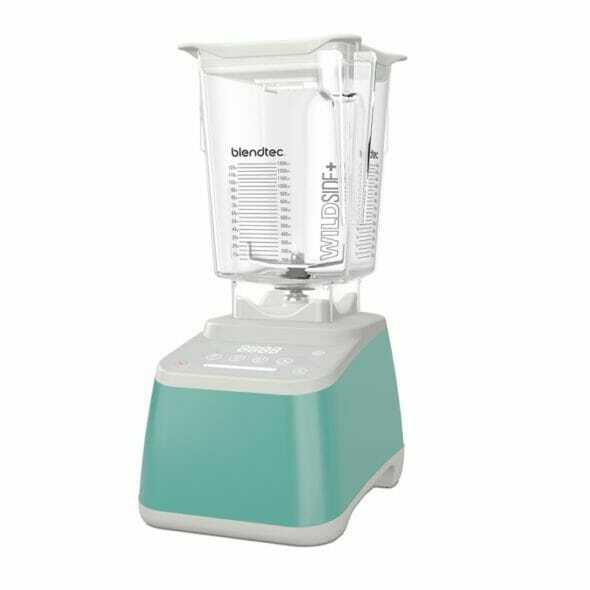 The seafoam blendtec is super cute. I would love it in my retro kitchen. I would love this blender, in the process of changing our eating habits. This would help alot. Plus my 6 year old loves to cook, this will help him blend and learn new things. Thank You! Uhhhh yeah!!! Def would love to fill my countertop space with even more gadgetry!! Lay one one me, Baby!! YES, been loving making smoothies. My new favorite is spinach, pineapple, banana, orange and coconut milk. Love this beautiful color! Love Blendtec! You all are the bomb.com! I would love me a brand spanking new Blendtec! I hear awesome things about them!!! Thank you for this wonderful giveaway! I would LOVE ❤ to win! I need one so bad! I would love to find a blender that works like this one. Thanks for a fantastic giveaway!! I would love this so much!! Someday I will own a Blendtec! I H-A-T-E my blender and therefore totally avoid using it unless absolutely necessary. I didn’t know about the refurbished option though; I’ll have to look into that! So fun!!! Hope I win!! Are you kidding me?!?! I went looking for this blender after your last post! Love the sea foam! I’m incredibly unlucky but crossing my fingers! I would love a new blender! Great giveaway, I would love a Blendtec! Just watched the guy at Sam’s Club demo one of these today…. I’m pretty sure I need one! These are amazing! Want one so bad! Oh this would be nice!! I must confess I purchased the blendtec blender at Costco 3 years ago and have no regrets. We use that blender every morning to make a healthy green smoothie. It’s the one piece of kitchen appliance I could NEVER live without. Whoever wins this blender will be so happy. I hope I get a chance at it too. My husband should be thanking you for all the deliscious meals I have made him from your books and blog. He doesn’t even ask anymore where the recipe for dinner came from 🙂 I would love to add a Blendtec in aqua or green to my arsenal of kitchen tools! This would be a dream come true – thanks for the great giveaway! Would love to try this out with Almond butter! My Blendtec is my favorite appliance! I use it at least once every day if not more. What a great giveaway! I would love to win that blender. What a great give-a-way! Would LOVE one! My old kitchenmaid makes a truly terrible sound when I put it to work! Smoothies, smoothies & more smoothies… ‘nuf said. It’s so pretty! I would love to retire my old blender and join the 21st century 🙂 Thank you for the opportunity! You cannot go wrong with Cocoa and hazelnut with a little sweetness! Heaven! A able step in COLOR?!!! Yes, please! wow! My regular old blender has died…. Would love to win the beautiful, wonderful Blendtec! Thank you so much for your chances to win in your giveaways! It’s long over due that I had one of these. Since I’m moving in a month, having one of these for smoothies and basically everything else would be PERFECT! Thanks for the opportunity! A blendtec would be a dream come true!!!! My sisters rave about BlendTec. Gotta get me some! This would be awesome to win! I’m keeping my fingers and toes crossed! I once made praline butter with candied pecans that was divine, but it killed my little food processor. I would love to have something that would stand up to the task. This blendtec looks spectacular! I’ve never owned a blender, and after seeing so many recipes done with Blendtec, I feel like the possibilities are endless. I’ve never had homemade peanut butter or a smoothie with a very smooth texture, and without the chunks of fruit or kale floating around. Winning would be such a miracle and a nice treat for my entire family! Such an awesome giveaway!! I need one of these in mYou life!! Thank you for doing this wonderful giveaway! This blendtec is so versatile and it would be an incredible addition to anyone’s kitchen! Hoping I win it!!!! Oh my gosh! I would love one of these. Your site is my go to. Thanks for sharing. Come on Giveaway Gods…do me this one favor! Awesome! I love that color!! A beautiful girl with a spotless reputation…all of us would do well to be spoken of like that!! I was just diagnosed with type 2 diabetics and I’m on a mission to get healthy and stay healthy. This blender would be a great help! Anyone would be lucky to win it. So pretty! Love the look and color. Love that Seafoam colour. Love the blendtec. Fingers crossed my kids would love ice cream for breakfast! Oh please oh please!! It is a dream of mine to own a fancy blender and make my own butters and milks for my growing family and nieces and nephews! Would love the sea foam blendtec!!!! Please pick me! Meeee please!!!! I would love to have one!! Such a fun colo,nhave been dreaming of one of these awsome machines for years!!! I’d love this. I’ve wanted one for awhile. I would work miracles in this little devilish machine! I’d post on my Instagram account and inspire many people to have a better healthy life by eating the best food made on this blender… I wish Blendtec look down to me and see I deserve one of these. That’s my favorite color ever, works well with everything else in my kitchen! Check it out the web site : http://www.organiceyourlife.com where I share my top secrets to a happy and ” Organiced” life alongside with my top model friends Lonneke Engel and Valentina Zelyaeva. Thanks for making many recipes possible Blendtec! This is a beauty!! I would love to win this amazing blender!! It is SO pretty! I would love to have one! Thanks for the chance to win! Love this!! I hope I win! Forget my kitchen counter, I would display this beauty on my mantel for all to see! So fun! What an amazing prize! I am clearly off space on my counter right now…just in case I am the lucky winner. Would love to win this ! My girlfriend and i are tired of drinking chunky un blended smoothie every morning with our oyster from what looks like the 70s giving to us by my parents. Use it daily. I look forward to wining one! I would absolutely be so grateful to win this beautiful blender. I have never had nothing like this ever and have not been able to buy a nice blender. I so desperately need one. This would be such a blessing to have. God bless and thanks for the opportunity. I love love that color!! I love the orchid color. These are so awesome! that’s the cutest color and the one I want! You ladies are great! Over the past 6 months my family has been making big changes in the way we eat. My husband has lost 50lbs! (I’m going the opposite direction but because of my baby) Every little bit of advice helps. I am so thankful for your ideas. We’ve tried zoodles (yum!) and can’t wait to explore making our own nut butters! My blender is about 20 years old & barely working. I’ve needed a replacement for my old busted up beast for years. The Blendtec looks amazing & would be a dream come true in my kitchen. This blender looks amazing! Would love to win it!!! Yayyyy I have been missing my green smothies!! This blendec will do wonders for me!! Would so love this beauty! Ooooh I really want that blender…..I’m loving that color and I need it to make smoothies plus some other goodies with it. Oh that is my daughters favorite color. She is only 15 and has been asking for a Kitchenaid stand mixer in this seafoam color. She would love this. A great way to get started grinding our own wheat. Thanks for the chance to win! I have wanted a Blendtec for years but could never afford it. What a dream it would be to win one from you lovely ladies, and just in time for my birthday too!!! I love Blendtec! I have a Blendtec wheat grinder. Would so love the blender. What a great addition to every kitchen! I would LOVE one of these blenders! It would make life in the kitchen much easier! Crossing my fingers! This would be awesome. I would love to win something refreshing and new! I have wanted a blendtec for so long! I’d love one in any color! Thanks for the chance to win. I love the color I painted my whole house blue!!! I’ve been trying to decide between Blendtec and a competitor for several weeks now. Winning this one would help me with my decision. Oh!! Would love love love one of these!!! My blender always sounds like it is going to die when I make our smoothies…I would love to be able to make nut butter!!! Thanks for another great post and giveaway!! What a great give-away! I’ve wanted one of these for a while. Maybe this could be it? OH please, please pick me!!! My old one just broke and my kids are all whining that I can’t make their favorite shakes! Always something amazing going on here! What a fun giveaway, thanks for the chance:) And I can not wait to get your new cookbook! Because I love kitchen stuff. Lets see if it’s better than the Ninja! Make me a believer! How wonderful to have a chance to win something I have been wanting for so long! You totally rock! Thank you! What a great chance to get the best blender around into my kitchen! I have wanted one of these blenders for years. It would make milk making easier. I love these!! My sister has one and I have a bit of blender envy… Maybe I’ll win:). Thanks for the opportunity!!! I have been wanting one of these blenders for way to long. And the seafoam-I just dont know what to say. Love it! Maybe I should get the ‘poolside’ converse that I have been oogling over too. love you guys and your blog. would be great to win on of these! Ooh, I love the color! thanks for the chance… can’t wait to try the caramel marshmallow popcorn either, it looks sooooo good! I love the color, my grandkids deserve to come to grandma’s and help make some healthy blender treats and smoothies. Maybe we could have a smoothie stand, instead of a Lemonade stand this summer. Would definitely put this to good use! Ohh! Pick me! Pick me! Oh, this would be so much fun to play with in the kitchen. Love the color. I’m so excited for this giveaway! My blender died a while back and I’ve been itching to make and orange julius. Love the color, but even more, love the product!!! It would be beyond wonderful to be able to use this in my own kitchen!! I have used a blendtec a few times and loved it. Hopefully I can own one! Would love this. Thank you for all of your recipes and workouts!! Oh, I’d love to win!! This would look so lovely next to my kitchen aid mixer! Powerful and beautiful! I would love to give this to my new daughter in law for their wedding! With all the things you can do with the Blendtec it would be awesome to have one. What a beautiful color! Thanks for such a generous giveaway!